The second annual report by local charity South Yorkshire’s Community Foundation (SYCF) surveyed local people for their opinions and experiences of community needs. Combined with the latest statistics nationally and from local authorities, the Vital Signs report 2018 reveals high levels of deprivation, visible homelessness and lack of affordable housing for South Yorkshire residents as top concerns. The report also identified Strong Communities (i.e. life satisfaction, loneliness levels) and Healthy Living as the other top priorities. Research Officer, Sonia Bielaszewska said: “This year’s report reveals a definite shift in priorities since last year, with deprivation and healthy living overtaking educations and employment as top need areas. – Barnsley is experiencing the highest levels of overall deprivation in South Yorkshire, shortly followed by Doncaster, Rotherham and then Sheffield. All areas are performing at least 5% below the national average. – 22% of children in South Yorkshire are classed as living in poverty. -The proportion of people living in socially rented accommodation in South Yorkshire is 4% higher than the national average at 22%. -Sheffield residents have the lowest levels of ‘sense of belonging’ in the region, which is four times the national average. -Life expectancy is one year lower than the national average for both men and women, with the lowest levels found in Rotherham. 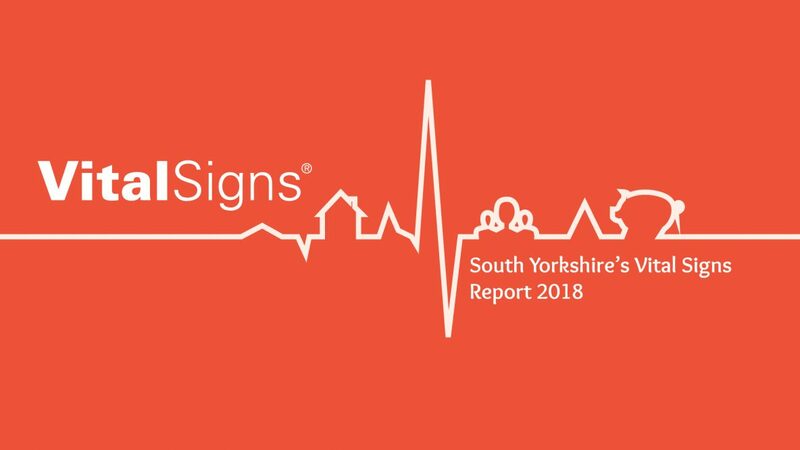 The Vital Signs reports are commissioned by South Yorkshire’s Community Foundation, a local, long standing charity which improves the lives of local people, through grant giving into communities. Sonia continued: “With these reports, we can be smart about how we work and where we can have the most impact. Not only does this mean we ensure that we are doing the best we can for local people, we can create more awareness of these high need areas also. Since last year’s findings, SYCF has distributed over £725,000 to local community groups and charities tackling the issues identified in the Vital Signs report for 2016-17.